Trekking is one of the most ancient and authentic ways to travel. Striking out on a challenging multi-day walk, heading through jungle, over barren cracked desert, or up the steep slopes of a mountain, is one of the more visceral travel experiences available. Ready to start your trip search right now? Embarking on a trek can be extremely challenging, but also incredibly rewarding. Using nothing but your willpower to reach your ultimate destination is a true test of determination. But trekking these days can be comfortable as well, with porters helping carry the load in places like Peru and Nepal and comfortable lodging along the way. New Zealand is home to multiple long treks, each exploring the small islands uniquely beautiful and uniquely varied landscape. The Routeburn track on the South Island is one of the best known and most popular treks in New Zealand (20 miles). Typically hiked over 3 days, with camping along the way, this beautiful trek showcases an array of local wildlife, and some of New Zealand’s famous landscapes as you pass into Fiordland National Park. 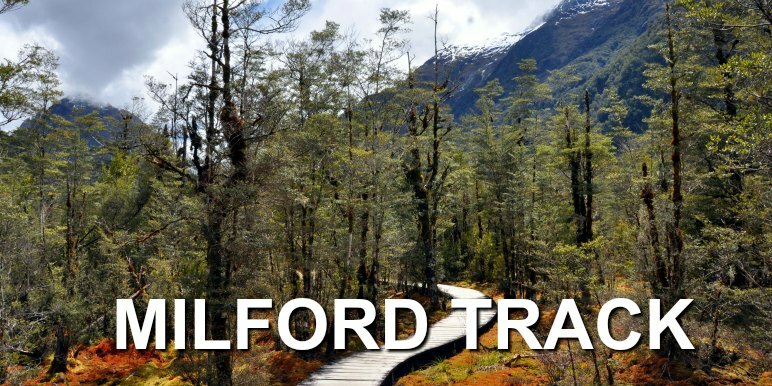 Another popular trek in New Zealand is the Milford Track (33 miles). A very challenging but rewarding venture, you’ll hike through some of New Zealand’s most well known wilderness for its spectacular beauty. Patagonia has soared into the front page of popularity for travelers looking to explore a bit more off the beaten path. The national parks here are stunning, with bright blue ice formations juxtaposed against the brown of the mountains, icy blue lakes, and jagged snowy cliffs. 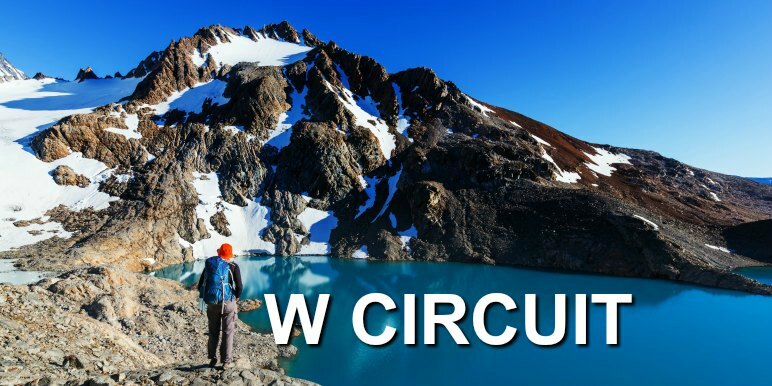 The W Circuit through Torres del Paine national park (so named because its route forms a “w” shape when hiked in full) is among the most popular routes to see the classic sights of this rugged landscape. 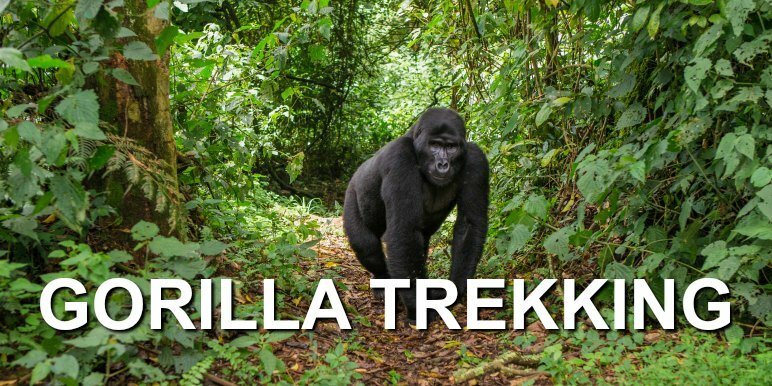 A gorilla trek in Africa has to be one of the most unique travel experiences one can have. Even more so than a safari, you are entering (on foot!) the home of one of nature’s most powerful and most intelligent animals on earth. Gorilla trekking is most prevalent in Rwanda and Uganda, where the jungles provide the ideal habitat for gorilla families. Allow a few days devoted to this activity to increase your chances of spending time with the animals, as well as to learn about their habits, patterns, and social structure. Switzerland may seem quaint kind of place to visit; charming villages, chocolate, and a clean classic European vibe, but it has an adventurous side as well. 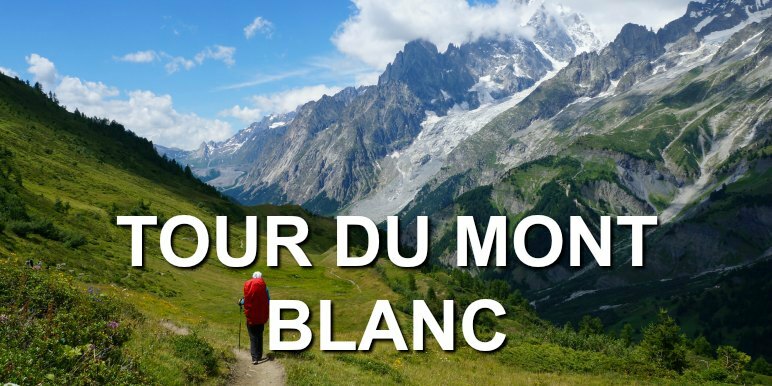 The Tour du Mont Blanc is well known among hikers, and is the perfect blend of challenge, beauty, and comfort. This Switzerland trek crosses three international borders, over a distance of 110 miles. You’ll typically stay in huts along the way, which makes this a popular endeavor for older hikers as well as those with less experience. For serious trekkers, or hobbyists looking for a real challenge, nothing could top Mt. Kilimanjaro in Tanzania. 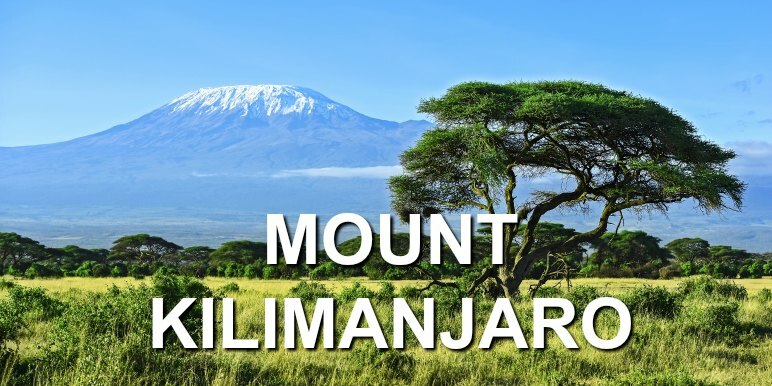 The highest mountain in Africa, Kilimanjaro is another challenging endeavor that is nevertheless accessible for most able bodied and relatively physically fit travelers. There are multiple routes you can take to get to Mt. Kilimanjaro’s summit - dependent on which one you take, hikes can be anywhere from five to nine days. The next step up from Kilimanjaro, is definitely Everest. While some may attempt to reach the top - an equally impressive and much more feasible trek is to Everest Base Camp, which sits somewhere between 20 and 60 miles from the summit, depending on the route you take. This trek is one of the most popular treks in Nepal and after you complete it, you will be inducted into a storied club. 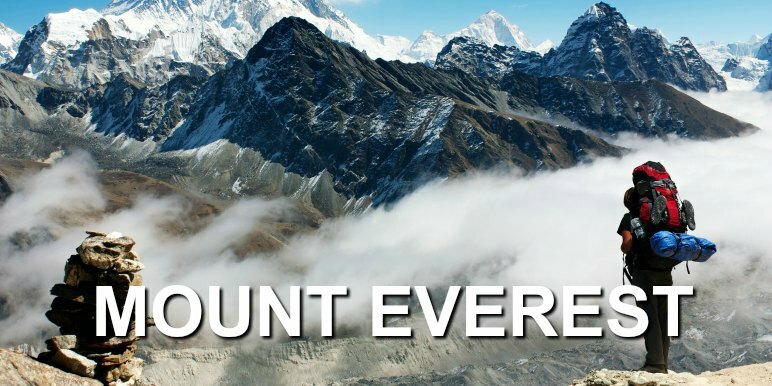 Everest is enigmatic, mysterious, and legendary. Passing sherpa villages, and tracing the footsteps of many daring explorers who came before, you are in unbelievable company as you make your way through the clouds and thin air. While you should do some light training for most of the hikes on this list, Everest requires a bit more effort. Be sure you’re well prepared for the cold and altitude. Iceland is on track to becoming another major adventure capital of the world, with its many incredible outdoor activities and fantastical landscapes to discover, both above ground and below. Hiking in Iceland offers a completely immersive experience through an unbelievable, fantasy-like world. 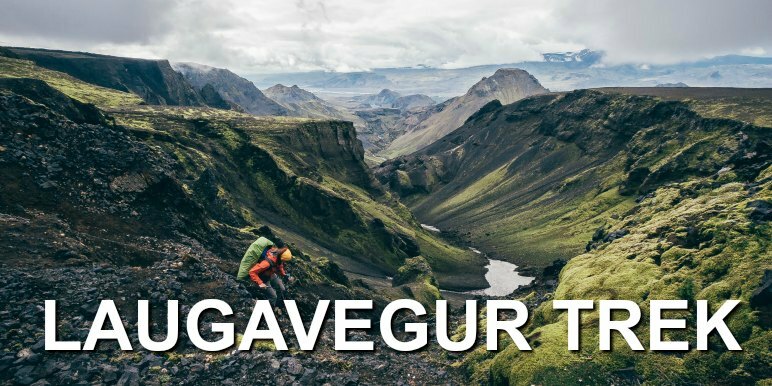 The Laugavegur Trek is roughly 35 miles, along Iceland’s southern coast. You’ll experience natural hot springs, expansive lava fields, and many more of Iceland’s classic sights. This trek is not for the faint of heart, and the weather is often unpredictable. But for extreme travelers looking for a unique way to visit Iceland, it’s perfect. The journey to see the famed Lost City of the Inca’s can be achieved many different ways, but by far the most popular and most classic is to walk the Inca Trail. This hike is attractive for several reasons. The Inca Trail is challenging but very doable, historic, and relatively short. Typically hikes along the Inca Trail take 4 days. There is a communal feel at campsites as you meet other groups on their way to achieving this bucket list item. Tours to do the Inca Trail are often bookended with a few days exploring other sites in Peru. 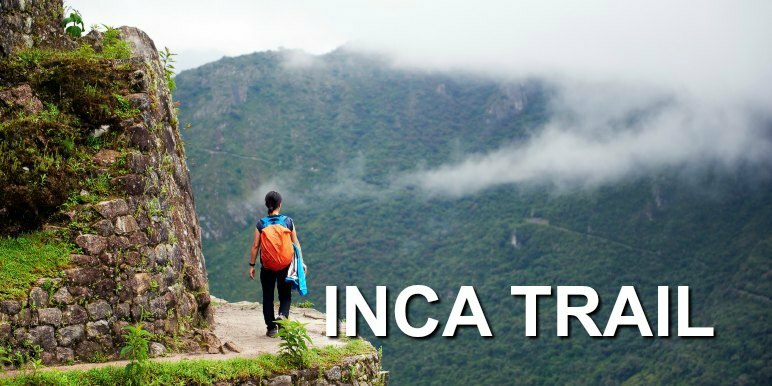 Be sure to plan well in advance for traveling on the Inca Trail. Permits sell out regularly, and to protect the fragile ecosystem and ancient ruins along the path, only 500 people per day are allowed on the trail. California is more than just surf and sand. 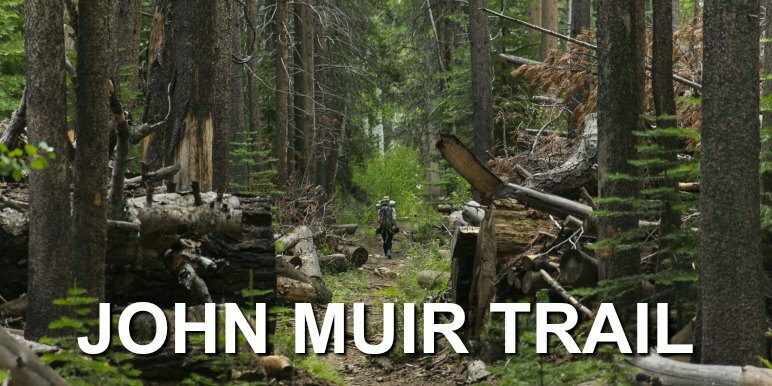 Some of the more rugged, challenging, and famous treks in the world are here, including the coveted John Muir Trail. The full trail is 214 miles, beginning in Yosemite National Park and ending at the peak of Mount Whitney. The hike can be done in sections, and this is a popular option for many visiting Yosemite and the surrounding area. John Muir was a pioneer in spirit and contributed much to the awareness of conservation for national parks. His legacy lives and breathes through every trail. If you’re a more serious hiker for whom the full through-hike is a magnum opus, the general timing to allow is three weeks, which evens out to an average of 10 miles a day. This ancient medieval pilgrimage route dates back to the early 9th century, when travelers sought the shrine of the apostle St. James. Rather than one straight path, the Camino de Santiago is actually a network of pilgrimage routes, most of which are open for travelers to take today. However the most popular follows a path from Biarritz on the west coast of France to Santiago, Spain - a distance of 500 miles. Marked along the way by a scallop shell symbol, which has traditionally been a metaphor for the multiple routes themselves, meeting at a single point. This symbol is also used by pilgrims themselves, who wear it to indicate their participation. Typically to finish the walk in 30-35 days, you’ll be hiking between 14 and 16 miles a day. This trek is very flat, and accommodations are generally easy to find along the way (though if traveling in the summer, be aware that it will be crowded). Ready to go trekking? Start your search: browse over 500 Trekking Tours on Stride.